This Agreement hereby confirms the terms and conditions between the client ("The Client") and URstore Enterprises Ltd. (the "Agreement"). URstore Enterprises Ltd. shall develop and manage a custom online e-commerce website for The Client, providing custom branded merchandise for sale to the public (the "Client Branded Goods"). 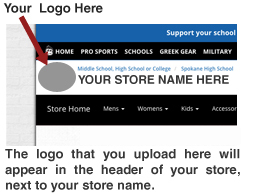 URstore Enterprises Ltd. does not charge a fee for the development or management of such e-commerce websites. URstore Enterprises Ltd. has developed a proprietary tracking system (the "Tracking System") which determines sales generated through the Client's online store (such generated sales are referred to herein as "Revenue Share"). URstore Enterprises Ltd. will pay The Client up to 10% of the Revenue Share. The Tracking System is the final and binding source of all determinations of payments due to The Client. To help ensure proper crediting of Revenue Share to The Client, The Client will have full access to the sales data provided by the Tracking System. (1) Within 30 days, (Thirty Calendar Days) after the end of each Quarter (Quarterly Payouts) URstore Enterprises Ltd. will mail cheques to the address provided by The Client during registration, for the payment of Revenue Share that The Client has earned during each quarter together with any other amounts owed to The Client in respect of sales hereunder during such quarter, less any taxes required to be withheld under applicable law. Revenue Share Events are based from actual sales from The Client's sites. Shipping, handling and any applicable sales taxes are not included for the purpose of determining Revenue Share Event. (2) If the payment owed to The Client is less than one hundred dollars ($100) payment will be withheld until the next quarterly payment cycle or until the total payment to The Client is greater than $100. URstore Enterprises Ltd. will not enter into an Agreement with Clients operating sites containing offensive material or involving illegal activity. URstore reserves the right to terminate the Agreement at any time, if in their sole discretion, a Client is in breach of this section of the Agreement or any other term and condition of the Agreement. The Client will be required to provide URstore Enterprises Ltd. with The Client's website URL from which The Client plans to serve the links provided by URstore Enterprises Ltd., and if The Client posts any URstore Enterprises Ltd. links on a website URL different from those submitted during the approval process, The Client agrees to submit any such new website URL to URstore Enterprises Ltd. for approval and tracking purposes prior to its use. Each party will maintain in confidence all confidential information disclosed by the other party. Confidential information means the terms of this agreement and technical, marketing, financial, employee, planning, and other confidential or proprietary information. The obligations of the recipient of confidential information under this Agreement will never terminate unless such disclosure is required by law or by the order of a court or similar judicial or administrative body. We reserve the right to change any of the terms, clauses and conditions in this Agreement in our sole discretion, by posting a new Agreement on our website and notifying The Client of its existence by email. The Client's continued use of the links following such notification will indicate acceptance of such revised Agreement terms. Disputes to any changes of the terms and conditions of the Agreement must be made in writing within 90 days of The Client's receipt of changes by email notification. Due to the nature of internet availability and accessibility, URstore Enterprises Ltd. cannot guarantee that there will be no downtime or interruptions in service or links. All URstore Enterprises Ltd.'s services, links and any other materials are provided to The Client "AS IS" and without any warranty of any kind. URstore Enterprises Ltd. makes no warranties, expressed or implied and disclaims all warranties, express, implied or statutory, including without limitation any warranties of title, non-infringement, and: (A) Merchantability, client ability or fitness for a particular purpose, (B) That there are no viruses or other harmful components therein, (C) That all security methods employed are sufficient in all circumstances, (D) Regarding accuracy or correctness of any information set forth therein. All information, links, services, programs and any materials provided in the course of the Agreement are provided "AS IS" and the entire risk, as to the satisfactory and accuracy is with The Client. The client agrees that URstore Enterprises Ltd. will not be held liable to the Client for any indirect, incidental or consequential damages of any kind, nor for any loss of data, downtime, or for any loss of revenue or profits arising with respect to the Agreement. The maximum cumulative liability of either party arising under or related to this Services Agreement, or the Services, will be limited to the Client Commission paid by URstore to Client in the 12 months immediately preceding the event giving rise to a claim. The Client agrees that it shall, at its own expense, protect, defend, indemnify and hold harmless URstore Enterprises Ltd. against every claim, demand, action, judgment, decree, loss, theft, damage, liability, cost and expense, including any amounts paid in defense or settlement, which may arise from or be incurred in connection with any of the following, except to the extent caused by the negligence or willful misconduct of URstore Enterprises Ltd.: (i) any breach by The Client of any term, clause or condition provided in this Agreement. (ii) any violation of any anti-spam law in any state and any infringement or alleged infringement or violation or alleged violation of any right of any third person, or by any third person regarding any patent, copyright, trademark or service mark used in connection with any information supplied by The Client to URstore Enterprises Ltd. The rights and obligations of URstore Enterprises Ltd. and The Client under this section survive the termination, cancellation or expiration of this Agreement. The Client is an independent contractor and nothing in this Agreement is intended to or will create any form of partnership, joint venture, agency, franchise, sales representative or employment relationship between the parties if a court having competent jurisdiction declares any provision of this Agreement invalid or unenforceable, which is essential to the bargain of the parties and without which this Agreement would not have been entered into by URstore Enterprises Ltd., the remainder of this Agreement will continue in full force and effect. The Client is responsible for maintaining the confidentiality of The Client's Account, Password and for restricting access to The Client Account, Password, or The Client Computer, and The Client agrees to accept responsibility for all activities that occur under The Client Account, Computer and, or Password. URstore may, at its option, market the Client Branded Goods and Client's online store through any medium or means it deems appropriate. All such marketing activities will be performed by URstore in good faith and in consideration of any reasonable usage requirements specified by Client respecting the use of Client's intellectual property. Client acknowledges and agrees that URstore may place advertising on the Client's online store from time to time relating to products and services other than the Client Branded Goods. All such advertising activities will be performed by URstore in good faith and in consideration of any reasonable usage requirements specified by Client respecting the use of Client's intellectual property. The Client will not be entitled to any revenues generated from such advertising activities. Client websites must not violate any of the following restrictions. If URstore Enterprises Ltd. deems at its sole discretion that any Client websites violates any of the following restrictions we may terminate this Agreement without notice. Client websites may not (A) violate any law or government regulation. (B) Contain any pornographic, offensive, obscene, deceptive, illegal or defamatory materials. (C) Contain discrimination based upon race, religion, age, gender, disability or sexual orientation. (1) The Client may provide URstore Enterprises Ltd. with artwork, logos, text and/or designs referred to herein as ("the Custom Artwork"). In the event that any such Client custom artwork is provided to URstore Enterprises Ltd., the Custom Artwork shall remain at all times the sole property of The Client. By providing URstore Enterprises Ltd. with the Custom Artwork The Client grants URstore Enterprises Ltd. a limited licensing agreement to use such Artwork to promote products for sale on URstore Enterprises Ltd. websites and the Custom Artwork may be used by URstore Enterprises Ltd. to promote URstore Enterprises Ltd. services. The Client must have copyrights or legal authority to use the Custom artwork that the Client provides to URstore Enterprises Ltd.
Upload must be a properly formatted vector artwork file that requires minimal prepping for our printing processes, but does not include the choice of embroidery .DST files. Embroidery Designs and Digitizing Fees When submitting a design for digitizing services (file conversion for embroidery), EPS or AI vector files are preferred. A high resolution. 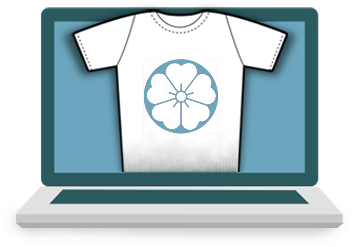 PNG file may also be accepted in some instances for embroidery. Designs are only digitized to a maximum embroidery size of 5 x 5 inches for left chest, hats, duffle bags, etc. URstore Enterprises Ltd. does not guarantee the Client's design can be digitized for embroidered products, but the Client will not be charged if we are unable to digitize the artwork. The Client must submit artwork for screen printing in Adobe Illustrator vector format as an .EPS or .AI file. Embed PMS colors. Images must be at least 300 dpi resolution or higher with layered.PSD files. Artwork for Screen Printing: Variable - please submit your screen printing artwork to sales@URstore.ca for a price quote. When submitting Client artwork, please attach and email to sales@urstore.net . Required File Formats for the free custom artwork are Editable .EPS or .AI vector files. URstore will also accept the following formats: Adobe Photoshop (.psd) - artwork files in editable layers is an acceptable file format, Adobe Illustrator (.ai), Adobe InDesign, (.indd) CorelDraw (.cdr), Portable document format (.pdf) - Press Format with converted fonts, or Encapsulated Post Script (.eps). All fonts must be converted into curves or outlines. Otherwise fonts will be substituted with the closest font available. All design colors must be named with either a standard or Pantone Colour and there is no guarantee of an exact match to any design colors submitted as design colors may vary by products and print methods. Embroidered products require a properly formatted .DST file. Thread limitations may cause small details to be lost or simplified to achieve the best result. Text size is limited to 1/4" high minimum for plain block fonts. Other specialty fonts may have to be omitted from the design, even at 1/4" high minimum. URstore Enterprises Ltd. does not guarantee your design or .DST file will be suitable for our embroidery. URstore Enterprises Ltd. will provide The Client with easy to follow instructions and links provided by URstore Enterprises Ltd. (the "Materials"). The Materials will include, but not be limited to, links, data or other creative, graphic, text or html content, all of which shall remain the sole property of URstore Enterprises Ltd. The Client agrees to immediately discontinue use of any Materials upon termination of this Agreement. All disputes arising under or related to this Agreement will be governed by the laws of British Columbia, Canada, and the laws of Canada applicable therein, and shall be resolved by streamlined mediation and arbitration procedures in Vancouver, British Columbia.